I’m currently reading “The Holographic Universe” by Michael Talbot. I expected quite a bit more science than is actually present in the book, but it’s an interesting read nonetheless. (Though the book definitely explains science through a super new-age lens.) Only a quarter of the way through so far, but chapter three bought something up that blew my mind. The reason we can see stuff is because light bounces off of everything. Traditional images taken by cameras record incident light intensities as the photons hit the elements in a CCD or whatever sensor the camera is using. A hologram also records the phase of this light as well, meaning that playback of the recorded image retains all of the information during the recording phase. To record an image, a coherent light beam (aka laser) is sent through a beam splitter so we have two identical beams of light. 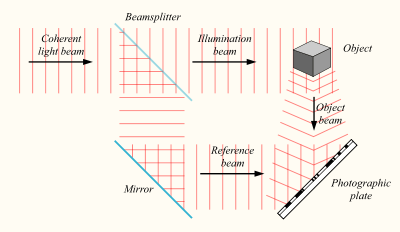 One beam is reflected off the object to be recorded while the other beam serves as the reference of the recording laser. 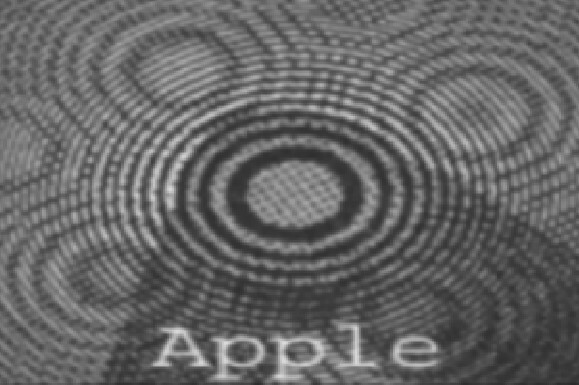 The two beams (object & laser) form interference patterns when they intersect, and this is recorded on the photographic plate. When the image is to be read/reconstructed, the original recording beam (or laser of same wavelength) is shone through the plate. 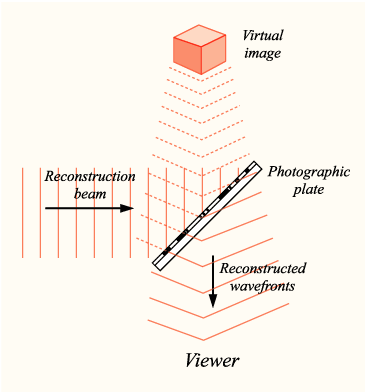 Interference allows the original beam to be recovered, restoring the recording of the object to the identical state it was in when the image was recorded. Because we literally recorded the light bouncing off the image, the holographic result is actually identical. In this way, a mirror recorded as a hologram will also reflect light. And a holographic recording of a magnifying glass will actually magnify objects behind it. The recording plate can also be cut into as many pieces as desired, while the full original image can still be restored albeit being a little more blurry because of the cutting. SO COOL. TOO COOL. And just like how every portion of the hologram contains information on the hologram as a whole, if we could access and decode the unordered holographic film of our universe we could find Andromeda on our pinky, or Einstein writing e=mc^2 in our closet. What blew my mind was that Talbot quoted Auguries of Innocence, a poem by William Blake that I had posted about before but can now view with a completely different lens. ← Hatred isn’t the opposite of love. 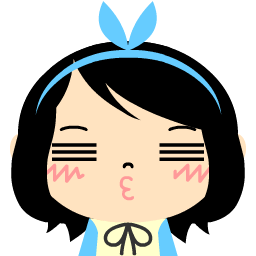 Hi Sophie, your blog is simply wonderful. Thanks a lot. In this particular entry, you’ve incorrectly mentioned Auguries of Innocence by William Tell – it’s by William Blake. Thanks and keep up the good work! Oh! Thanks for reading and for catching that error! I’ve fixed it now. I have no idea how I came up with William Tell, haha.